WASHINGTON (September 25, 2015) — More than 70 members of the national legislative committee of the Veterans of Foreign Wars of the United States met with their members of Congress this week to end sequestration, to pass a new budget, and to ensure that a nation that creates veterans properly takes care of them when they return home. Along with sequestration, the VFW national commander is very concerned that Congress has yet to pass any funding bills for the government’s new fiscal year, which starts Oct. 1, which could trigger another government shutdown similar to last year. “Congress must fund the government and remove the forced sequester provision of the Budget Control Act to ensure that the Departments of Defense and Veterans Affairs and other agencies that support veterans have the resources needed to defend our nation and to care for those who do the defending,” said Biedrzycki. Also high on the week’s VFW legislative agenda was ensuring the effective implementation of the Veterans Choice Act to ease access to care issues by VA and non-VA providers, employee accountability, the claims backlog, and eliminating the one-percent Cost-of-Living Adjustment penalty, which jeopardizes the success of every proposal to modernize the current military retirement system. VFW legislative committee members also delivered advance copies of the organization’s latest report regarding veterans’ options, preferences and expectations when seeking health care. Entitled “Our Care,” the nationwide survey of 1,847 members revealed that where veterans choose to receive their care depends on the number of options they have available, but with all factors being equal, they prefer to use the VA because the continuity and continuum of care they receive is unmatched anywhere in the private sector. 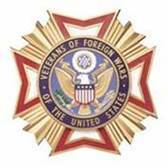 Read more about “Our Care” at http://www.vfw.org/uploadedFiles/VFW.org/VFW_in_DC/VFWOurCareReport2015.pdf. While in Washington the VFW national commander had the opportunity to discuss veterans’ issues with VA Secretary Bob McDonald and Labor Secretary Thomas Perez, as well as receive update briefings by the Defense POW/MIA Accounting Agency, and meet with Acting Undersecretary of Defense, the Deputy Undersecretary of the Navy, the Senior Enlisted Advisors of the Joint Chiefs and Navy, and the directors of the Marine Corps and Joint Staffs.